(Shenyang, Liaoning—July 13, 2017) For the first time since the Holocaust, a Nobel Peace Prize laureate died in prison today after suffering abuse and medical neglect in China’s northeastern Liaoning province. Liu Xiaobo, a Chinese dissident and literary critic awarded the Nobel Peace Prize for his authorship of a robust piece calling for China’s political reform known as Charter 08, died of liver cancer at 6:40 p.m. China Standard Time on July 13, 2017, after Chinese authorities refused him adequate medical care while in prison. Already weak from mistreatment, Liu’s cancer was discovered on May 24 and diagnosed as late-stage, but officials failed to release him on medical parole until June 26. Liu and his wife requested to travel abroad and consult top cancer specialists, but the Chinese government denied their cries for help and said he was too frail to travel. Instead, they brought in two doctors from the United States and Germany, who treated Liu and contradicted the travel decision, saying that he was healthy enough if the government permitted him to leave. However, the Communist Party ignored their assessment and kept Liu in the hospital until he passed away. This is the first time a Nobel Peace Prize winner has perished after experiencing extensive abuse since Carl von Ossietzky died beneath the Nazi regime after receiving the award for making public the details of Germany’s re-armament, died of tuberculosis and the lingering effects of abuse he endured in concentration camps on May 4, 1938. Liu’s wife, Liu Xia, has been held under house arrest since Liu won the prize in 2010. 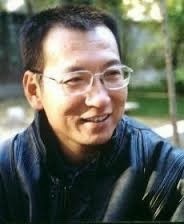 ChinaAid exposes and condemns the imprisonment, abuse, medical mistreatment, and subsequent death inflicted upon Liu Xiaobo and asks that the international community hold the Chinese regime accountable for his murder and demand the immediate and unconditional release of Liu Xia.